Happy birthday to us! 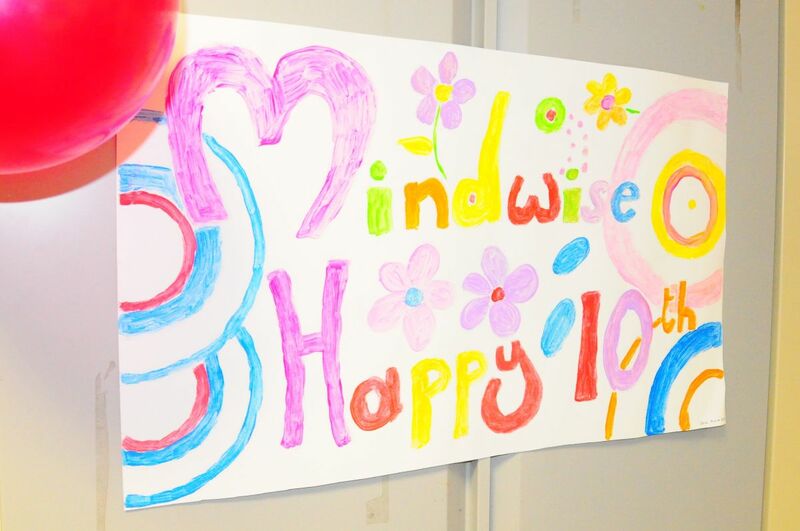 10 years ago, we de-merged from Rethink to become MindWise, an independent charity. A lot's changed in the past 10 years. More people are talking about mental health than ever; and more people need our support than ever. In the past 10 years, we've grown to almost twice the size that we were. Each year, we transform more than 9000 lives through our 30 services, delivered by 100 amazing staff who are supported by 80 fantastic volunteers. We're very proud to be 10. We're proud that 70% of our staff have lived experience. 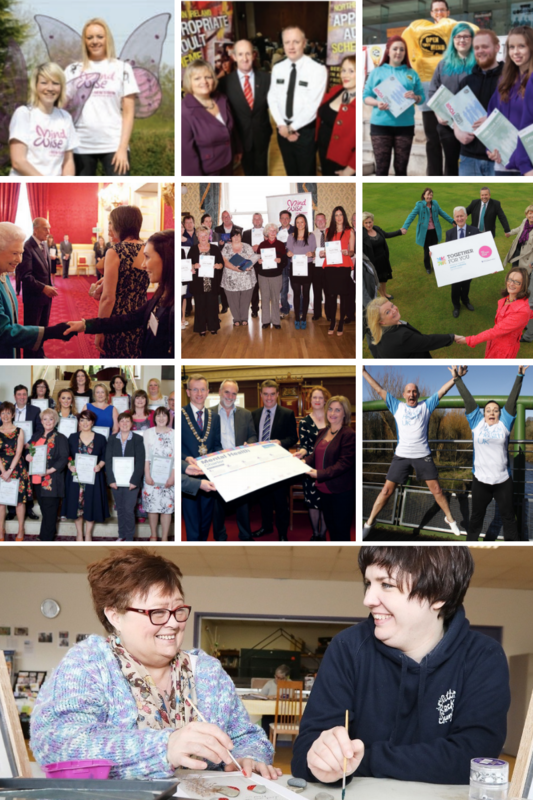 We're proud that many of our volunteers and staff began as service users with us. We're proud that 95% of people in our services say being part of MindWise is important to their recovery. In the past 10 years, we've created new and innovative services within the criminal justice system, including Northern Ireland Appropriate Adult Service and Linked-In, as well as delivering the only Coaching for Mental Health and Wellbeing diploma *in the world* through WorkWisenv. We're there for new mums and families through our Mums and Family Wellness Projects, as well as carers through our Family Support Service. We've expanded our support for older people, as well as our advocacy services, and moved into new areas through services such as Inverary House. And we're proud to be working alongside our Rethink family once again through Mental Health UK, composed of our sister charities Rethink Mental Illness, Hafal and Support in Mind Scotland. THANK YOU! to staff, clients and volunteers. Scroll down to read more from our staff who've been here for 10 years. Here's to the next 10 years! 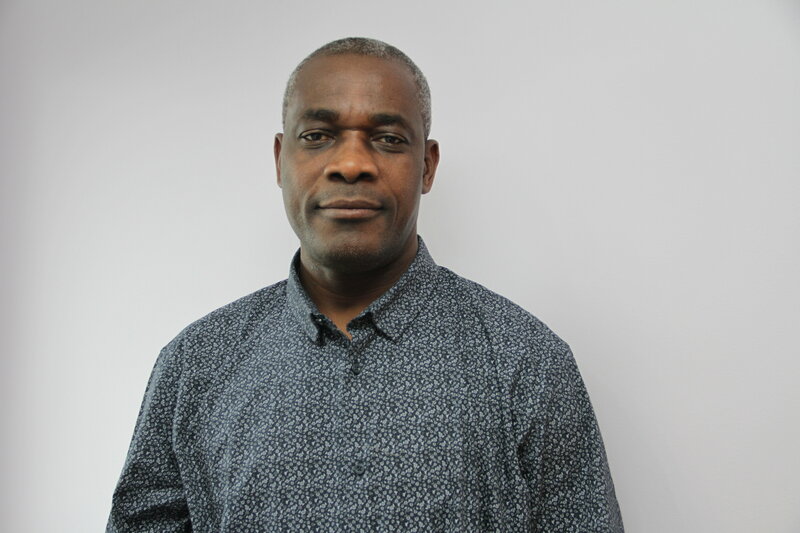 Lekan Abasi is an Appropriate Adult with NIASS and joined MindWise in 2009. He's also Clinical Co-ordinator at Counselling All Nations Services (CANS). Here he shares his thoughts on the past 10 years at MindWise. What were you doing before you joined MindWise? I was a trained Counsellor, always looking out on what I can do to support vulnerable people, especially, the powerless and voiceless. Why did you want to work at MindWise? I had just completed 6 years as Volunteer Custody Visitor and the Appropriate Adult role is a paid job and I thought I can use my experience to work with the organisation. What, in your opinion, has changed in mental health and your sector in the past 10 years? MindWise growth and expansion over the course of 10 year is a testament to the hard work of the Management Staff and the dedication of its workforce. Reflections and feedback from the service users is an indication of what the organisation stood for. Making sure juveniles or vulnerable adult arrested and detained by the police are treated with respect and their rights are maintained throughout the process whilst in detention. What is your proudest moment from the past 10 years? When I was presented with a long serving staff award after 5 years in service. What are your hopes for the next 10 years? Funding for the scheme to be mainstreamed so it can continue to support people detained in police custody. 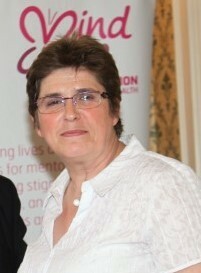 Our Adult Mental Health Services Manager Jackie McCaughey joined MindWise ten years ago. Here are her reflections on the last 10 years. Before I joined MindWise, I was working in residential care for older people experiencing dementia. We have seen an increase in the number of people experiencing mental health difficulties and subsequently a growth in the number of services needed. There has been progress in awareness raising with more people willing to talk about mental health. We still have more work to do on the awareness raising and although things have got better we are not there yet. Of course, there is never enough money spent on mental health and it is an easy option when cuts are being made to budgets as people tend to not make as much noise about it as they would do if it was cancer, heart or children’s services that were being cut. 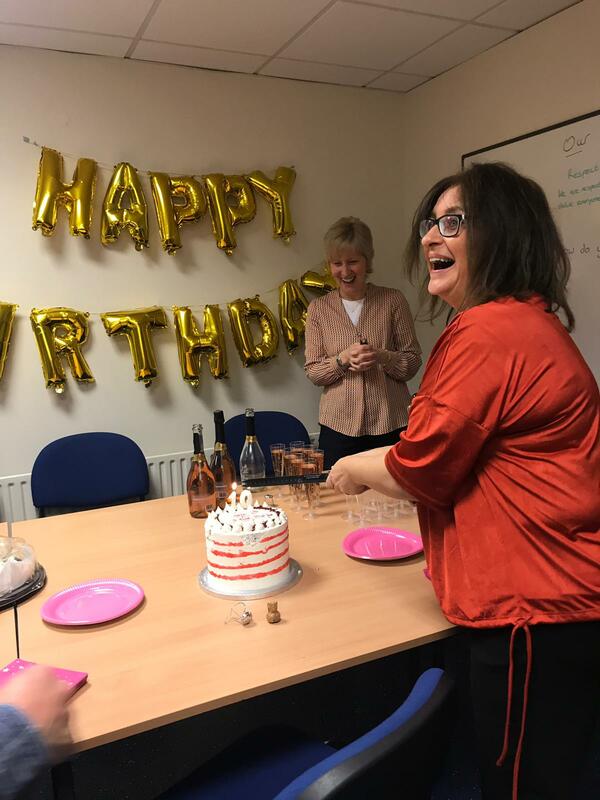 The variety – my job takes me right across NI when out visiting the services and when representing MindWise at various working groups or giving talks about the organisation and every day is different. The clients, staff and volunteers also make the job interesting as again you never know what is going to happen when you walk through the door of a service. It is great to get to talk to the clients and hear first hand how MindWise staff and volunteers are supporting them. There are many including seeing clients move on to independent living and being able to manage without needing the support of our staff and services. 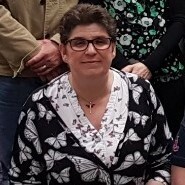 Personally, two events that stand out was being named IHCP Care Manager of the Year in 2012 and the DEL Vocational Learner of the Year for NI in 2014 were. These two awards are a reflection on the work of the organisation as I could not have achieved these without the support of the staff in my services and the organisation as a whole. One other event that was memorable was the launch of the Older People’s Community Bridge Building programme by the then Health Minister, Edwin Poots, in Stormont. Continued increase in awareness so that more people get the support they need at an early stage and of course more funding to ensure services are available to support everyone wo is in need. As an organisation I would like to see MindWise continue to expand and provide more early intervention services to ensure that people are able to receive the support they need at the right time.